AFA’s Visionary Youth Orchestra program gives under-served and diverse musicians, ages 11 to 18, opportunities to strengthen their understanding and skill as Free Jazz improvisers, ensemble members, composers, and performers. 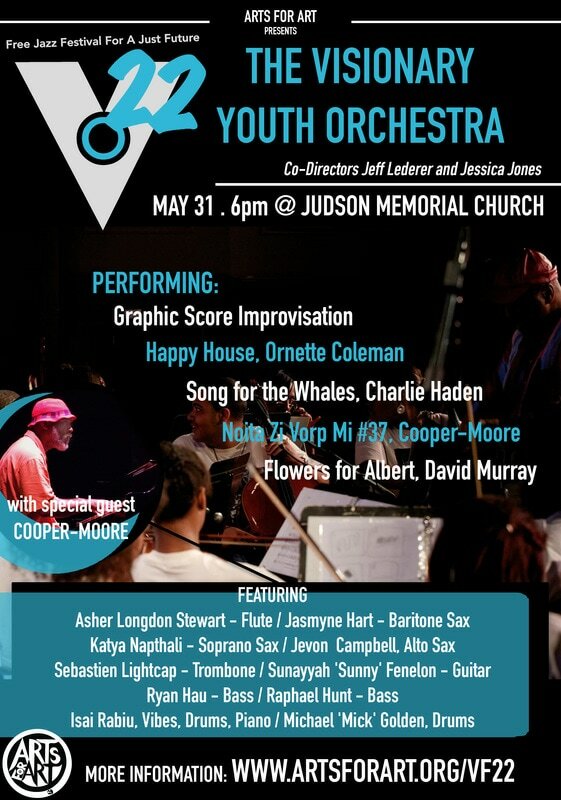 Under the direction of Jeff Lederer and Jessica Jones, VYO provides an environment for young musicians to learn, interpret, discuss and perform the works of Anthony Braxton, Charles Mingus, Ornette Coleman, Charlie Haden, and other Free Jazz luminaries. We teach young musicians to conceptualize music aurally and through traditional and graphic notation as they collectively explore the vast possibilities of rhythm, form and sound.